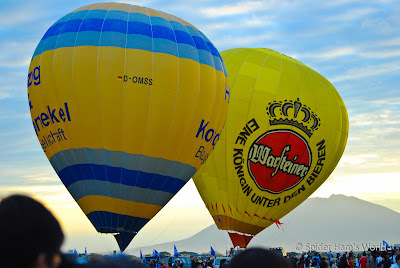 The 18th Philippine International Hot Air Balloon Fiesta is happening on February 21-24 at the Clark Freeport Zone. Here are some tips on how to get to the event site. 2. Alight at Mabalacat Bus Terminal. 3. Walk towards the Dau Intersection (near the Caltex Station) and cross to the other side. 5. Alight at Bayanihan Park. 7. Signs along the road will lead you to the event grounds. 2. Exit at Dau, Mabalacat, Pampanga. 4. Make a right turn towards Bayanihan Park. 5. Drive along Roxas highway until you see signs for the event. 1. Take North Luzon Expressway (NLEX). 2. Use the NLEX-SCTEX Exit. 4. Use the Southbound entrance to SCTEX towards Clark. 5. Use the Clark South Exit to enter Clark. 6. Turn right at DMIA Gateway. 7. Turn right at NAIA Gateway. 8. Drive straigh until you get pass Yokohama Tire Philippines. 8. Turn right at Roxas Highway. 9. Drive along Roxas highway until you see signs for the event.